I have an overwhelming love for fiction in all its forms - short stories, flash fiction, novellas... but my ultimate love is novels. There's something extraordinary about opening up a new book and feeling excited to know what's coming, and that's the kind of feeling I aim to create with my own books. Whether I've succeeded or not, that's down to you. Take a look at my existing books below - as well as read info on upcoming novels! 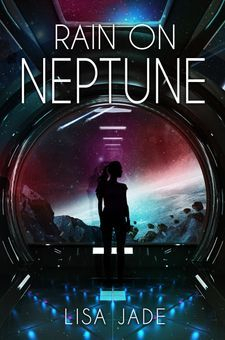 Rain on Neptune is now available on Amazon Kindle! Twelve years after the War began, humans have been forced into small, unrelenting camps. The largest of which is Fairground. There, a mute medic dreams of breaking free and proving herself; but when she gets the chance, Ash learns that being a hero isn't all it's cracked up to be. 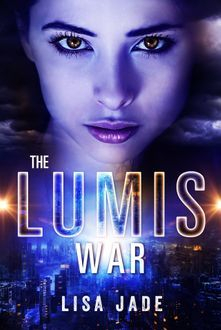 The Lumis War is now available on Amazon Kindle! Farm work isn't the worst thing in the world, as far as Noah is concerned. The daily grind of the Mill and the ever-watchful eye of the Guard and their Hoverbots aren't enough to put her off. She doesn't even mind the way her memory has slowly faded, leaving no trace of her life before being put to work. But the city of Thorne demands her attention, and she's sent off with a special delivery. Upon her arrival she's met by the infamous Clover, an underground protest group with a set of noble but terrifying ideals. They see things she can't - beauty in the empty city, cruelty in its leadership - and even potential in Noah herself. Clover is my second full-length novel. It's a reflection of my own love for classic dystopian fiction. It's light sci-fi set within a rather dark atmosphere. 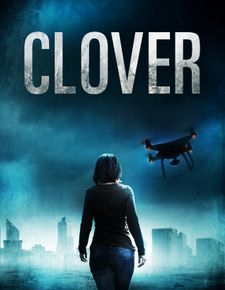 Clover is now available on Amazon Kindle & Paperback!